For five years, HubSpot has been producing the State of Inbound Marketing. This guide is part of a survey conducted asking 3,570 respondents on their opinions surrounding the desires, strategies, and results of an inbound marketing campaign. As inbound marketing solidifies its name as a comprehensive strategy for both Business to Business (B2B) and Business to Consumer (B2C) marketers, this study is becoming the canon of best practices for organizations and agencies. Learn more from Modern Marketing Partners. So nice of the organization to provide, in its own words, the TL;DR version of the survey. We look to share their insights and takeaways as your go-to source of marketing news. If you are running an inbound marketing program and not tracking ROI, you are doing your company – and your career – a disservice because inbound marketers who measure ROI are more than 12 times more likely to be generating a greater return on investment as opposed to counterparts who do not. This marks a follow-up to our recent blog, 5 Traits of indispensable B2B Marketers, which drives home the statement that Accountability is your friend. It allows you to prove your worth to the organization and organize your team to serve potential customers better. How can proper measurement and accountability allow for better ROI and budgeting? No single factor had a greater impact on budget – positive or negative – than did “past success with inbound.” Improving ROI may even safeguard your budget against factors beyond your control, like the economy itself. Content amplification: Social Media helps drive even more traffic. We’ve covered this in our B2B Content Marketing Survey Findings Blog, and our whitepaper on inbound marketing. If inbound marketing were a sports team, data would be the coach. The chart below depicts remarkably tight alignment between marketing practitioners and their leaders (director and above title). Data is objective. It’s immune to the feelings and instincts that drove the previous era of “arts and crafts” marketing. Knowing what people view, where people came from, what wording you used, and what path they take once they get to your site, and when lead becomes customer is vital to meet the needs of your organization. Inbound marketing performance is up across the board. More companies are running inbound than ever before. More are measuring ROI and more are enjoying improved ROI. Inbound is expanding into other lines of business, and those departments are experiencing positive results. It’s even driving revenue globally. 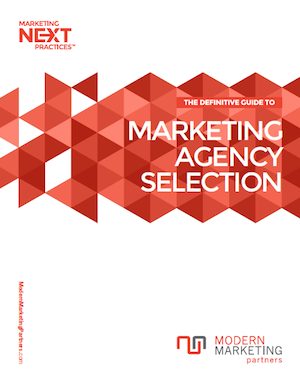 But the group that’s setting the standard is marketing agencies, who are outpacing vendors by sourcing nearly half (47%) of all leads through inbound channels. As agencies see the value of Inbound, they will certainly pass the news to clients. These clients, who see the value provided by inbound agencies will in turn speak highly of said agency. This creates a cyclical effect of business growth for everyone. Inbound is no longer limited to “just” marketing. More than 25% of respondents reported that their organizations’ sales teams practice inbound. This marks a change that will undoubtedly affect the long-term practices of organizations, from social selling to the funnel-based inbound practices. Want proof that understanding, meeting, and enhancing the views of consumers needs to be measured? Marketers concluded that content marketing is a subset of inbound at nearly twice the rate (59% to 33%) as all other options combined. While the data showed less variance for sales and services professionals, “content marketing is a subset of inbound” was still clearly the most popular answer even for groups newer to inbound. Modern Marketing Partners thanks HubSpot for providing these resources, and welcomes you to download their 2014-2015 State of Inbound report. Or, check out our Inbound Marketing vs. Outbound Marketing Infographic.